Click here to go back to the Ein kEloheinu page. The song V'sham'ru is a biblical quotation about Shabbat from the book of Exodus. 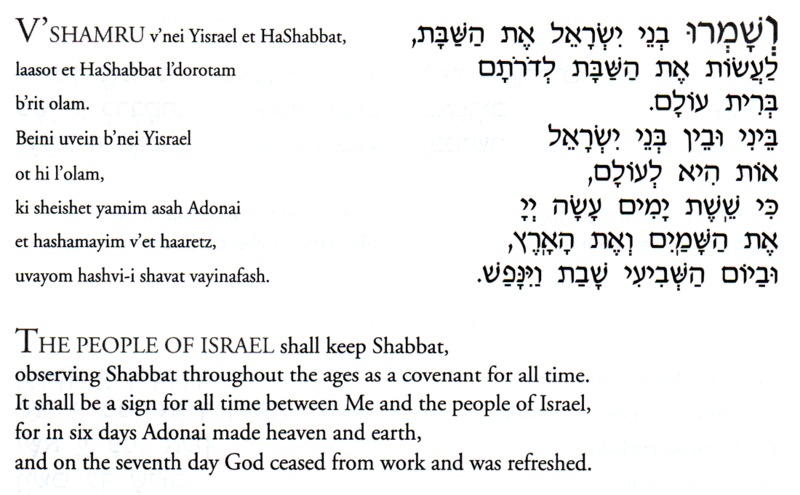 The verses, Exodus 31:16-17 are recited several times over the course of the Sabbath Day. Most notably, they are sung as an introduction to the kiddush on Shabbat morning. Elsewhere in the Torah, Shabbat is described as a remembrance of God's creation of the world and of God's rest on the seventh day of creation. 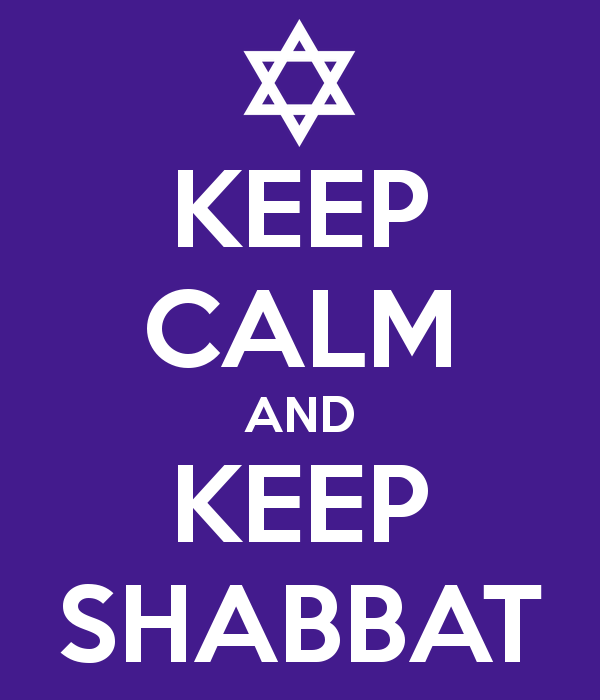 Shabbat is described in other parts of the Torah as a day to remember the exodus from Egypt and as a day of giving just and necessary rest to workers. This passage, however, is unique in the Torah for describing Shabbat as a sign of God's covenant with the Jewish people from one generation to the next. In the passage, God states that Shabbat "shall be a sign for all time between Me and the people of Israel." Observing Shabbat, according to this idea, is not just a way to remember what God has done for us in the past, it is a way of keeping the relationship between God and the Jewish people alive forever. This is the meaning behind a famous statement by the early Zionist writer Ahad Ha'am (1856-1927). He wrote, "More than the Jewish people have kept the Sabbath, the Sabbath has kept the Jews." By observing Shabbat, we maintain our identity as Jews and sustain our relationship with the God of every Jewish generation.